3-year-old Peter might be smarter than all of us - how many countries can you name? 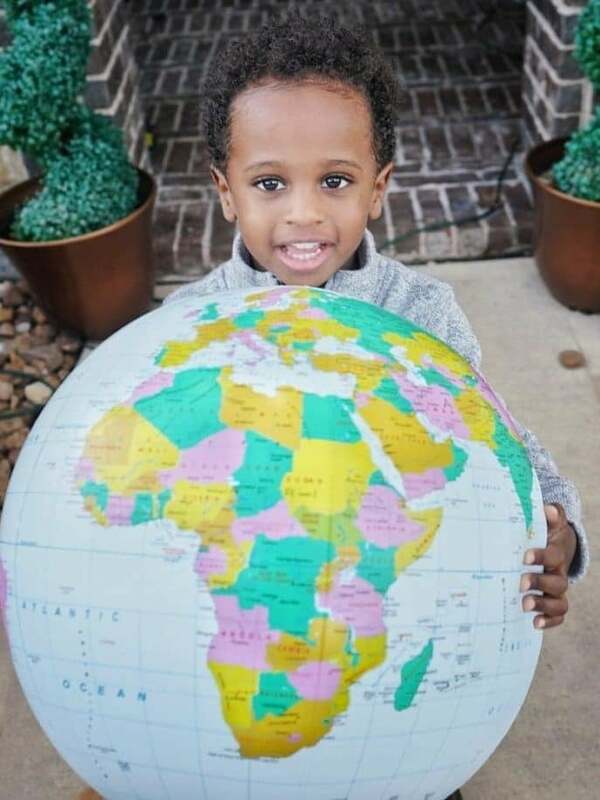 “Because Pete and I both love to travel, we always knew that exposure for children of color is paramount, but never imagined the level of passion that our 3-year-old would have for geography and the world. Peter has shown an interest that has surpassed our wildest dreams, and has already said that his first visit to Africa will be to Egypt, “because mommy and daddy went there.” Needless to say he has already begun accumulating airlines miles and a passport stamp,” says Terri. Seeing as how many adults can’t name every country on the continent, people are curious as to how a toddler managed to remember them all. Apparently, his parents had a trick for that. “Peter gravitated towards puzzles very early so we used them to help him learn his shapes, numbers and the alphabet. After mastering those we gave him a puzzle of the United States and his geography took off, learning the states based on their shapes. After mastering the 50 states and capitals we moved on to Africa, South America, Europe and Asia. While we try to nurture his passion towards geography it’s definitely driven by his desire to learn as a whole. We have taken it a step further by providing as much detail on each country including capitals and monuments with the help of our Amazon “Alexa” controlled Echo, says Pete. We don’t know about you, but we think the ancestors would be proud. Go Pete!